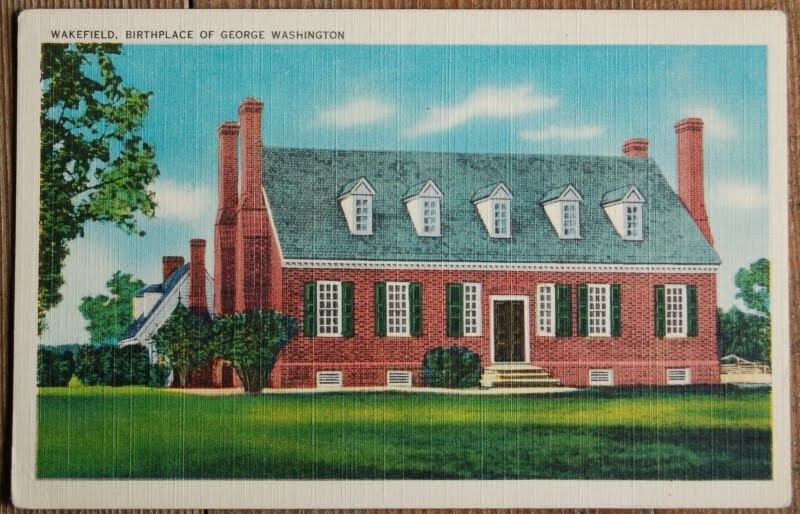 George Washington was born at Wakefield on February 22nd, 1732. 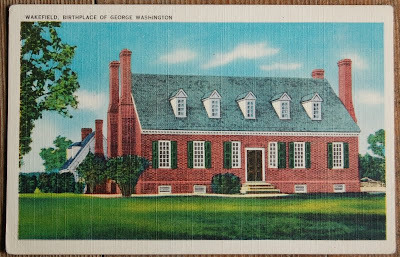 Three generations of the Washington family lived at Wakefield, the first to arrive was John Washington, his great-grandfather in 1657. From the house is a beautiful view of the Potomac River. You know, Amy McGuffey (age 7), would probably love a postcard. I'll send our address via email.